It seems like it’s become a cliché year after year – we worry about overindulging during the holidays and start the year off with resolutions to eat healthier, workout more and lose that excess weight. However, according to new research, this year your resolutions might be a little different going into 2019. Getting in better mental health is becoming as important as being physically fit for many people this year. 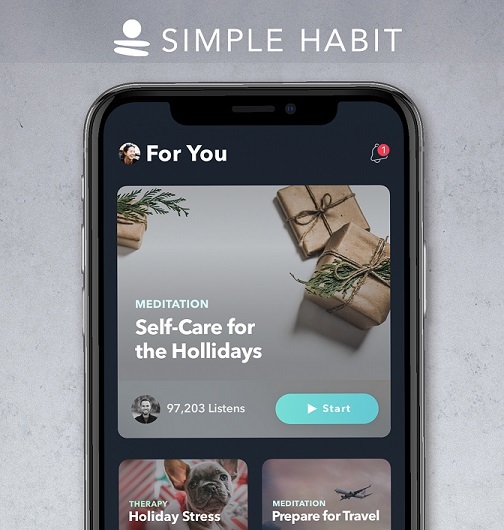 Simple Habit, a leading mindfulness and mental wellness platform, asked 3,700 of its users about their top resolutions heading into the new year. While health was at the forefront of people’s minds, it was weighted toward mental wellness rather than weight loss or physical fitness. Surprisingly, four out of the five top resolutions were about being mentally fit versus physically fit. According to Simple Habit’s research, 62 percent of people surveyed said their top resolution going into 2019 is to improve their mental health. And, an overwhelming 72 percent of people said they think meditation can help them achieve this goal by helping them to clear their minds. Other top resolutions related to mental health include lowering stress and self-improvement. 60 percent of those surveyed said a top resolution was learning how to better manage stress levels. And, 55 percent of people listed self-improvement as a top goal, citing a desire to be more patient and kinder to others. If there is only one thing to take away, it is that people are stressed out! You can see the full results of the study here in the below infographic.